Like many cyclists, Jeff Woolf has been involved in a serious crash—one that might have killed him were it not for his helmet. So why, he wondered, do so many of his contemporaries refuse to wear one? Turns out, it’s mostly because they’re hard to carry around; they’re thick and bulky, and don’t fit into bags or backpacks. And that was a problem that Woolf, an engineer, knew he could fix. 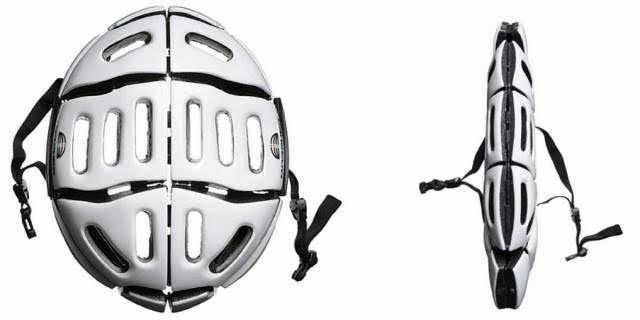 The result: Morpher, a bike helmet made from interweaved plastics that is just as strong as its traditional counterparts (it meets general safety requirements in both the U.S. and Europe), but flexible enough to fold almost totally flat, making it easier to transport. Woolf recently shipped the first units to his Indiegogo backers, who helped raise almost $300,000; he’s now in talks with stores too. “It’s inevitable that as more people take to the road on a bicycle, more people will have accidents,” Woolf says, adding that he hopes Morpher will save lives. Help the environment, save some money—and litter your roof with bulky metal boxes. That’s the dilemma home-solar-panel buyers have faced for years. Tesla’s response: the Solar Roof, a series of tiles designed to blend together while also harnessing the power of the sun. 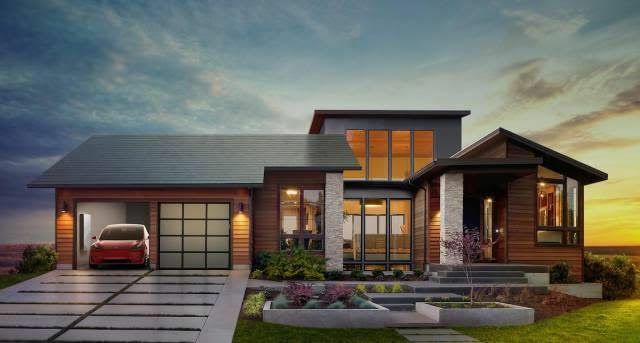 The product line, which will be available next year, is a collaboration between Tesla and SolarCity, a longtime provider of traditional solar panels. (The former is set to acquire the latter.) And although pricing information has not yet been released, SolarCity CEO Lyndon Rive is optimistic about Solar Roof’s potential. “It’s addressing a new segment,” he says, referring to the 5 million Americans who install new roofs each year, some of whom might want to go solar. Almost everyone who sees Back to the Future wants three things: a time-traveling DeLorean, a working hoverboard and a pair of self-lacing shoes. Now, thanks to Nike, the shoe dream is a reality. When wearers press a button near the tongue, the HyperAdapt 1.0s automatically tighten and loosen around their foot. And although this technology may sound frivolous, it’s not just for kicks: simplified shoe fastening could give athletes an edge during competition, and it’s especially useful for people with impaired motor function. 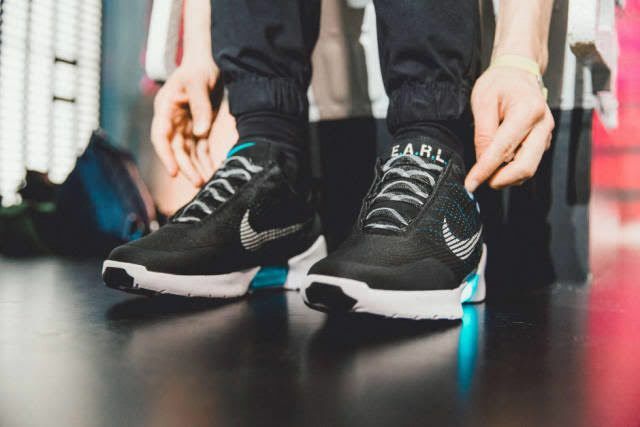 “We’re already seeing powerful feedback” from the disabled community, says Tinker Hatfield, Nike’s vice president of design and special projects. The Khlong Toei district in the heart of Bangkok is packed tight with buildings and ­people—which doesn’t leave much room to build new parks, let alone giant rectangular fields on which kids can play soccer. So real estate firm AP Thailand took a different approach. As part of a recent project, the company used aerial photography to find what developer Pattaraphurit Rungjaturapat calls “untended areas,” or unusually shaped patches of land that weren’t being used. Then it covered them with concrete, paint and anti­slip ­materials—all the trimmings of a proper sports venue, without the typical boundaries. Not that locals seem to mind: Rungjaturapat says the first two fields, which opened earlier this year, are packed with kids as soon as school lets out. This December, AP Thailand plans to open a third.